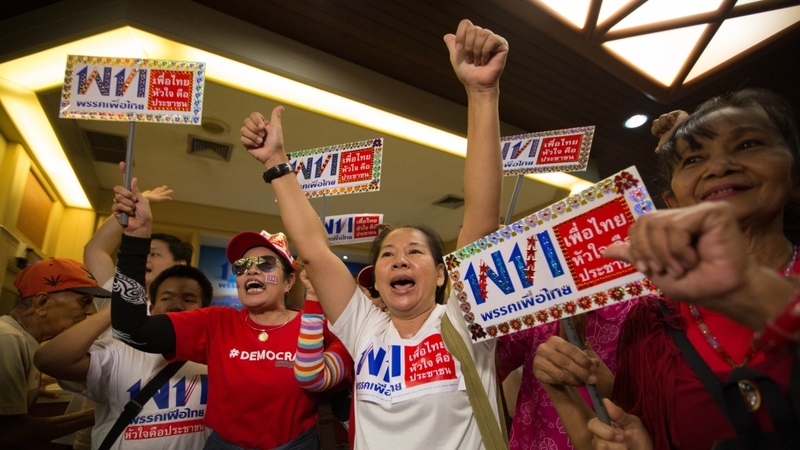 Bangkok, Thailand – Thailand‘s main political parties were jostling for position on Monday amid confusion about the winner of a weekend poll that was fought under a complicated new voting system including elements of proportional representation. It then said it would reveal only the names of the winners of the 350 directly-elected constituency seats, having suspended allocations of the 150 seats available under the proportional party list system. Pheu Thai leader Sudarat Keyuraphan earlier told reporters that the party, which is backed by exiled tycoon Thaksin Shinawatra and has won every election since 2001, was in talks to form a coalition. Kobsak Pootrakool, the party’s spokesperson, told Al Jazeera the party had won the popular vote and was also in the process of building a coalition that would ensure it a majority in the lower house. “We have received the most votes of all the parties that were running in the election,” he told Al Jazeera in an interview at the party’s headquarters, adding that they were in the process of building a coalition of like-minded parties.